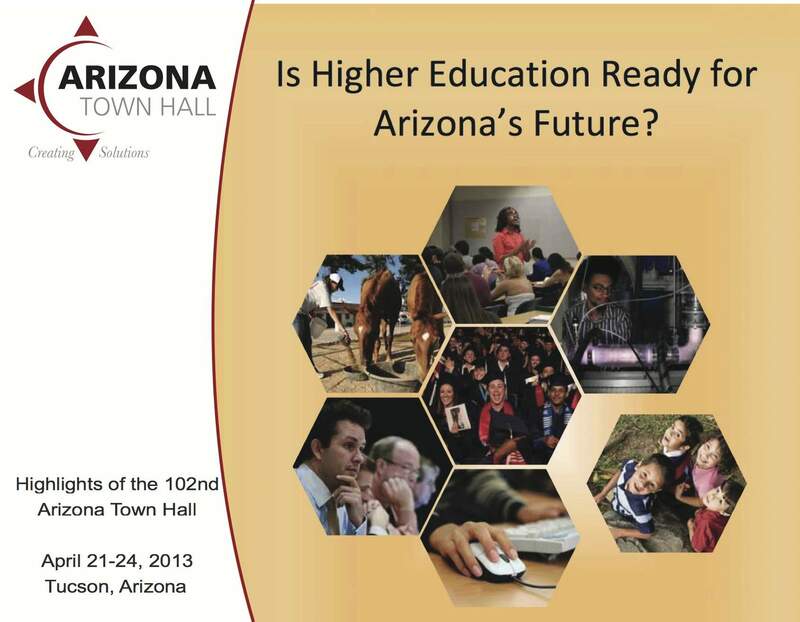 Is Higher Education Ready for Arizona's Future? Prescott Daily Courier article on November 18th Outreach Program on Higher Education. Yuma Sun article on September 11th Outreach program on Higher Education. Arizona Horizon aired May 23, 2013 featured an interview with Town Hall participant Rick Myers, Chairman of the Board, Arizona Board of Regents; and Town Hall Panel Chair, Judge Pat Norris of the Arizona Court of Appeals. Watch Arts & the Economy & Da Vinci Exhibit & Education Town Hall on PBS. See more from Arizona Horizon. Monday's lunch program: "Higher Education and the Arizona Legislature"